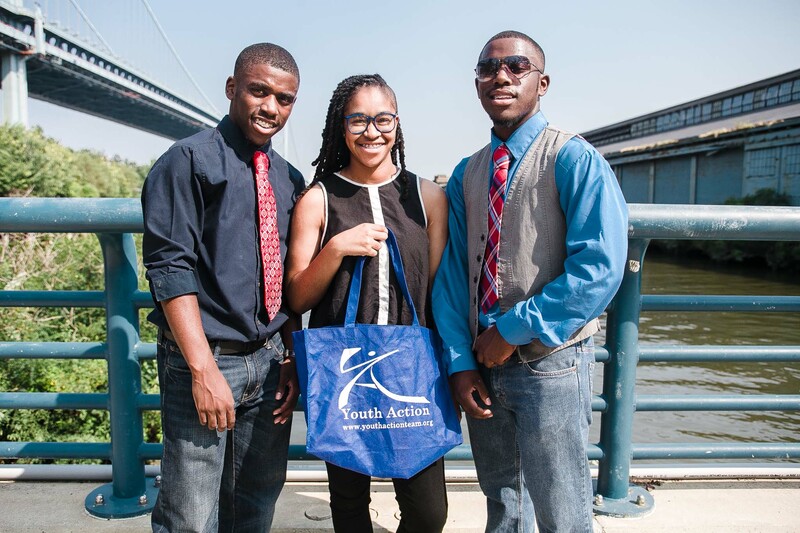 Youth Action’s Inspiring Leaders Program (ILP) is the first year training program for Youth Action members interested in service with our organization. Through mentorship and experiential leadership, ILP aids high school students with understanding the importance of leadership and social responsibility. The Inspiring Leaders Program is a student-led civic engagement program that seeks to increase 9th and 10th grade Philadelphia high school students’ confidence, competence and awareness of socially relevant issues. Students develop marketing, budgeting, and communication skills in order to effectively and efficiently plan and execute a service project of their choice. Students receive $2,500 to work with up to 30 students from schools, socio-economic backgrounds, neighborhoods, and interests throughout Philadelphia to organize a service project in their communities. Generally twice a month from September-May, there are 4 hour long intensive sessions for students in ILP held on Saturdays. All sessions are mandatory for students to attend. In the spring, students receive funding to organize an innovative service project of their choice on an issue impacting their communities with fellow members of their ILP Cohort. During this phase of the program, students apply what they have learned to organize a high-quality and high-impact service project. Youth Action members coach the students during the process and work directly with the students to ensure that the project is highly effective. Through the process of building a service project, students learn key skills in project planning, conducting meetings, writing proposals, working with others, public speaking, and other skill-sets that are key to them being successful in college and with their career. We also invite guest speakers to offer life advice on college & career success. Community Service Hours- At least 70 hours. The Inspiring Leaders Program (ILP) works with ninth and tenth grade high school students to provide them with marketing, communication, project facilitation, and budgeting skills to enable students to successfully plan and execute their own service projects. The Inspiring Leaders Program is a leadership development and civic engagement program designed to galvanize students as early as the 9th and 10th grades to become community leaders and active change makers in their communities and beyond. ILP is designed to develop students through two (2) phases: Experiential Leadership Development and Project Planning & Implementation: Experiential Leadership Development: ILP members take part in fun, interactive sessions that strengthen their individual leadership skills and project planning skills Project Planning & Implementation: ILP members collectively brainstorm creative ways in which they can address a community issue in a positive, impactful and sustainable way and are challenged to create and submit a comprehensive project proposal for approval. Facilitators are college student leaders from the Greater Philadelphia Area and some are high school upperclassmen who have graduated from the Inspiring Leaders program. They serve as first hand mentors to 9th and 10th grade Philadelphia High School students. 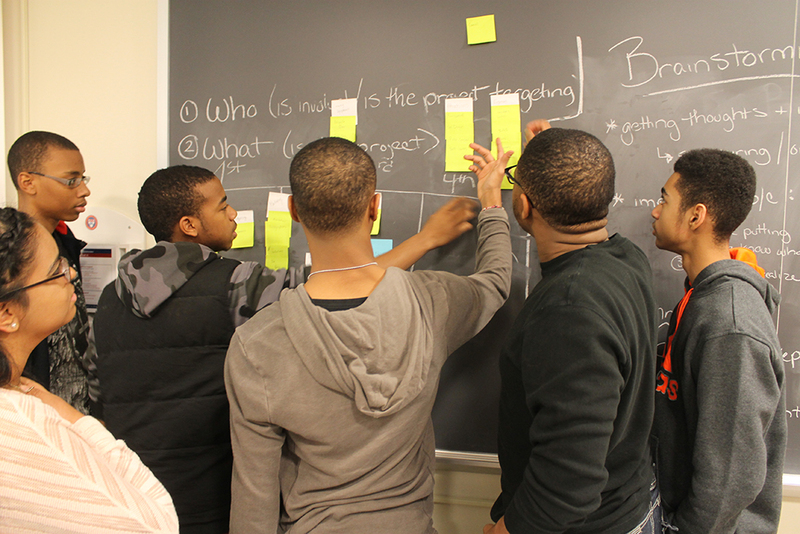 Facilitators support and coach Greater Philadelphia high school students on how to organize service projects in their communities. Moreover, facilitators assist students in developing leadership skills they do not gain during their time in a traditional classroom. Interested in the Inspiring Leaders Program?